Key Difference: Un- and Non- are two different types of negative prefixes, which means that they are part of words that need to be added to other words to change their meaning. 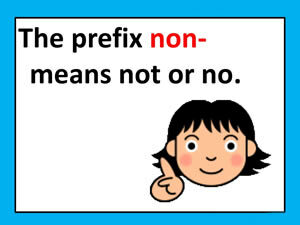 The prefix non- is the most useful prefix, as it is the most versatile. It can be used in any manner and with any word. Un- differs in usage from non-; while non- could be used in any manner, un- is mainly used to indicate not, as well as a lack of or absence of something. Un- and Non- are two different types of negative prefixes, which means that they are part of words that need to be added to other words. These prefixes have a benefit of changing the meaning of the original word. In addition to un- and non-, there are also the negative prefixes of a-, an-, in-, im-, il-, ir-, de-, dis-, anti- , etc. Each of the prefixes is used in a particular manner and for particular words. Some of the prefixes can be used interchangeably; still for majority of the part, a specific prefix is used for a specific type of word. The prefix non- is the most useful prefix, as it is the most versatile. It can be used in any manner and with any word. It can be connected to any noun, verb, adjective, or adverb. Non- is also the simplest type of negative prefixes, mainly because it can be used anyhow, but also because it creates the direct opposite of the word it is used on. For example: absorbent, and nonabsorbent. Here absorbent means the direct opposite of absorbent. Like majority of English, non- is derived from Latin. Non- comes from the Latin non, which in turn is taken from Old Latin noenu, noenum, from neoenum, which literally mean not one. 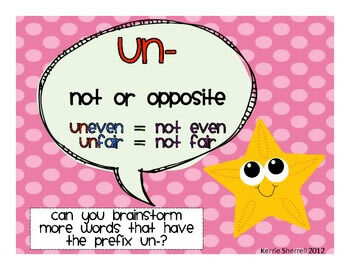 Un- is another type of negative prefixes. While, non- is derived from the Latin, un- in turn is derived from somewhat modern European Languages, such as German, Dutch, Swedish, Norwegian, etc. Un- differs in usage from non-; while non- could be used in any manner, un- is mainly used to indicate not, as well as a lack of or absence of something. For example: uneducated means not educated, hence here un- is being used in the case of not, whereas unrest does not mean not rest, but rather a lack of rest or peace. Unrest can also mean violence or war. Additionally, un- can also refer to an action not yet taken, for example, unopened, which means something that is not yet opened. Additionally, un- is commonly prefixed to Latin derivatives that end in suffixes such as -ed and –able. For example, unfounded, unassailable, and unbelievable. Also, note that when a prefix is added to a word, it usually does not include a hyphen, for example, unhelpful is written without the hyphen, rather than with, un-helpful just seems incorrect. There are very rare cases when negative prefixes are written with a hyphen and this mainly includes proper words. I'm sorry, but your grammar needs to be considerably better than it is if you wish to discuss and explain how the language works. If it is apparent to the audience that your grammar needs plenty of work, you have no credibility.